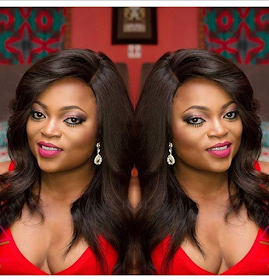 Nigerian Actress," Funke Akindele-Bello" popularly called ‘Jenifa‘ in the popular drama series "Jenifas Dairy". Shares a story of her journey into the movie industry. Jenifa told CNN ‘African Voices’ that she never knew she would be this popular and even celebrated when she started her career as a cast in one of the biggest sitcoms in Lagos, called ‘I Need To Know’.